With nearly 20 years of experience leading and planning art travel programs, Art Travel's key mission is to plan and deliver superb art delegations that facilitate a truly memorable experience. Each program is a curated, intimate experience that contributes to building institutional or individual collections, meeting educational goals, providing significant introductions, and facilitating future relationships. Anne and her team are leading experts in advising and organizing an extraordinary travel program that will seamlessly represent your organization and its key supporters. To curate or craft the most outstanding content for the program, we assess what makes the institution unique and its specific needs for the visit to the selected country, in collaboration with your team. For example, a travel program can be coordinated to coincide with an overseas exhibition of the institution’s collection or with an important international art fair. A trip can provide an opportunity for the benefactors to understand their institution’s art collections within the context of country. Establish a reasonable price for the trip that takes into consideration the expectations of paying guests, accompanying staff, and the specific goals of your organization. dissemination of travel program information, including ideal flight patterns, pre-departure information, timeline, itinerary specifics and detailed content for the program guidebook. In Japan: Fluent in Japanese, Anne works closely with a team of Japanese colleagues who organize seamless ground operations, including airport transfers, hotel accommodations, room upgrades, restaurants, transportation, on-board assistance, and pre- and post-trip travel plan assistance. All International Destinations: Anne and her ground staff are adept, flexible and experienced at meeting the needs of demanding clients, while handling any cultural challenges that arise when traveling. She supplements the expertise of your curatorial staff by providing highly engaging program guidance and arranges for language interpretation. An FM radio system enables the entire party to engage in ongoing commentary and Q&A. The more specifically designed the travel program, the greater the potential for it to become a resource for consolidating the important relationship between the institution and its benefactors, and for affirming diplomatic ties with the art world at large. As a result, we find that major supporters not only return home with a greater understanding of the destination, and with unforgettable experiences and memories, but that each party also departs with a deeper devotion and enthusiasm to further support the institution. • Plan early, start now—with only 5–6 trips per calendar year, Art Travel's schedule gets booked up to a year or more in advance. Plus, the process of setting the itinerary, collecting payments, and other pre-travel logistics can take a long time for groups. Be sure to start planning your trip with Anne at least 18 months or 2 years ahead. • Unlike other travel companies that subcontract logistics and art-related content without any understanding of the local language or cultural idiosyncrasies, Anne provides consistent, hands-on management. • Art Travel LLC holds professional insurance and certifications, and provides clear contractual agreements, so be assured that you are taken care of each step of the way. 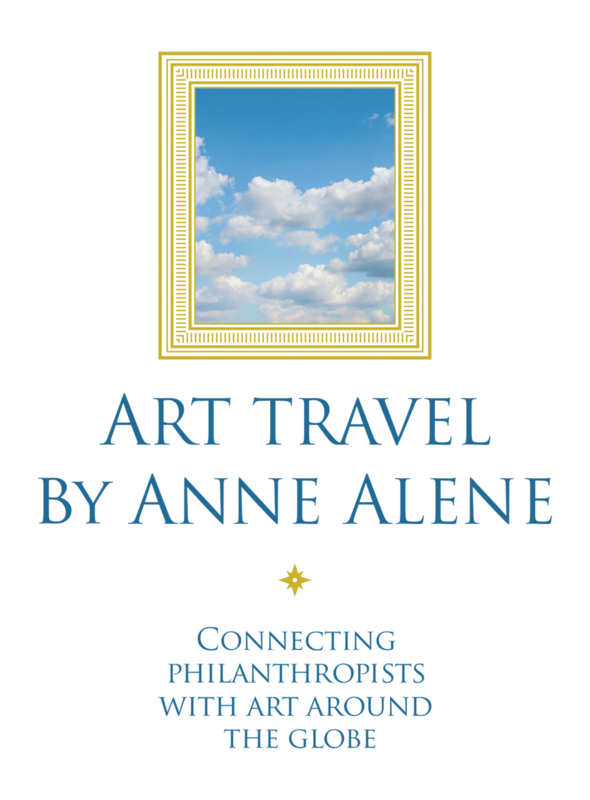 Contact Anne today for the exclusive art travel program of a lifetime!